A package of 10 pcs. costs 1119 USD. 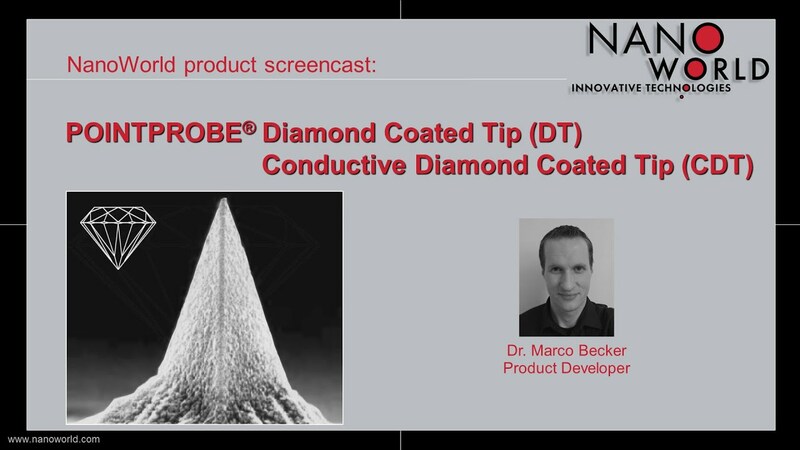 For applications requiring lower resonance frequencies or a cantilever length exceeding 125 µm use NanoWorld Pointprobe type DT-NCLR. 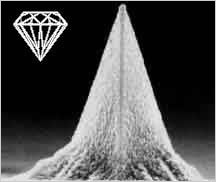 The diamond coating consists of a 100 nm thick polycrystalline diamond layer deposited on the tip side of the cantilever resulting in an unsurpassed hardness of the tip.